I love a good cioppino! 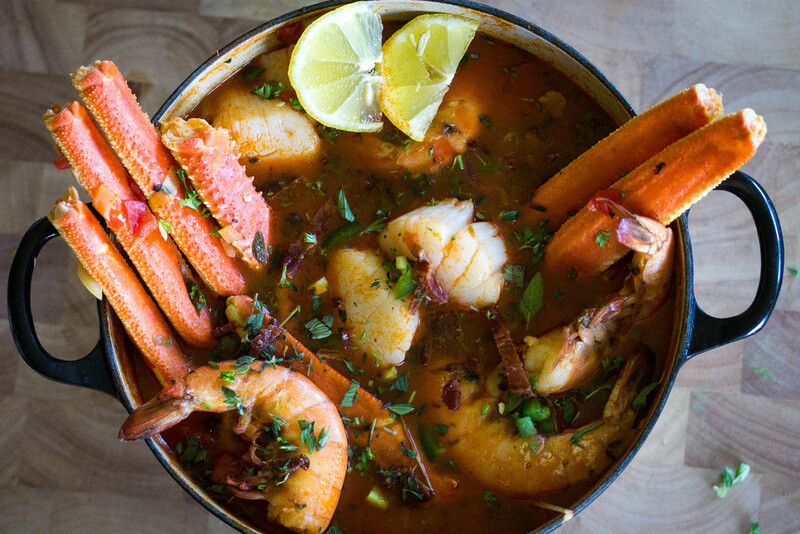 I'm not sure if the reason is because it is so versatile and I love trying different things each time or maybe it is that locating fresh seafood is hard where I live so when I see delicious shrimp and crab legs I get really excited! Either way, I absolutely love this dish. 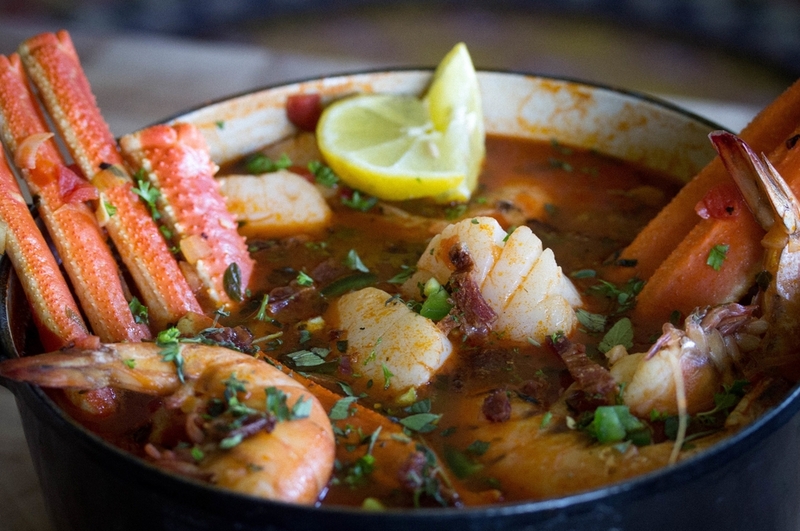 Cioppino is essentially a fish stew generally made with a tomato and wine sauce. This is one stew I don't mind eating on a hot summer day because it's always so light and refreshing. Feel free to get creative with the seafood of choice, whatever you can find fresh is always best! I added some bacon to this recipe which gave it a little smokey flavor. Hope you enjoy! Melt schmaltz in a large pot and add leek, onion, garlic, and celery and cook until onions translucent, stirring frequently to prevent burning. Add Garlic seasoning, thyme, oregano, rosemary, and salt and mix. Add clam juice, broth, and wine and bring to a boil. Reduce to simmer and add crushed tomatoes and tomato paste. Add crab and cook for 5 minutes then add scallops and shrimp and cook for another 3 minutes. Garnish with chopped bacon, fresh chopped parsley or herbs of choice, chopped jalapeños, and a lemon wedge.